They are widely used in digital camera, HDMI dongle, STB,wifi remote control, homesmart, auto, aviation, industrial device ect. 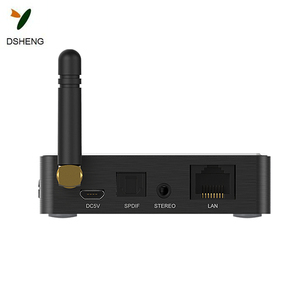 wireless sound system wifi audio transmitter receiver Introduction of wireless sound system wifi audio transmitter receiver WIFI audio transmitter receiver is a device to upgrade normal speaker into WIFI speaker. 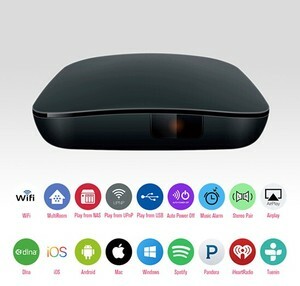 Music can be transmitted to speaker by connecting Wifi sound box with normal speaker , using music APP of ip hone or Android phone through the function of Airpaly,DL NA, QPlay. 12M Distance The control range far better than similar products. Dual-Core Launcher Stack integrated circuit remote controller. TV remote control All buttons are same the original remote control panel. Our mission is to help customer success through products and service. Q1: Can I get a sample9 A: Welcome to get samples from us, the sample charge & shipping cost is borne by your side. Q4: Do you accept OEM projects9 A: Sure, we have full experience in doing OEM projects. etc All products will be sent out in 1-3 business days once payment is cleared. We are still young,Hope we can go well go better together. We can customize productsas you required,your design is special and unique. 3. Q: Why only video but no audio9 hdmi wireless video transmitter and receiver wify extender A: Firstly make sure the Drive is correct, then set the Audio Output as Output from Graphics. 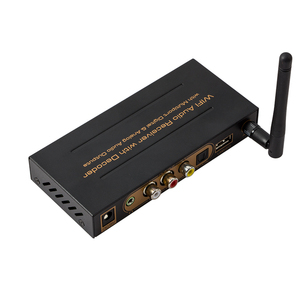 hdmi wireless video transmitter and receiver wify extender 4. 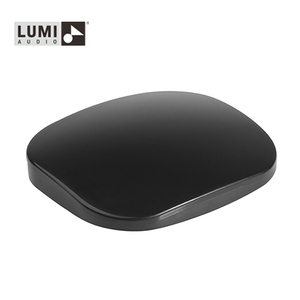 Q: Why is the image not full screen9 hdmi wireless video transmitter and receiver wify extender A: Firstly set the TV resolution correctly, then adjust the Graphics zoom function. 5. Q: How to adjust the resolution of the TV9 hdmi wireless video transmitter and receiver wify extender A: In Windows XP: click the right button on the desktop&mdash;Attributes&mdash;Setting&mdash; click the TV icon&mdash;adjust the resolution. 4. 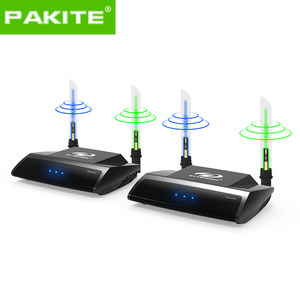 8 groups of selectable channels, it can effectively avoid the interference from router and other wireless devices. 6. Keep Transmitter and receiver setting at the same channel, it can support 1 transmitter and more receivers at the same time. 8. Supports video transmission of PAL/ NTSC system and stereo audio transmission, Pictures received are clear, flamboyant and stable. 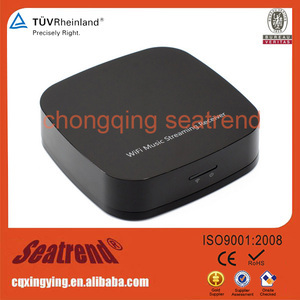 Wifi Audio Receiver has been an importent product in the Other Audio & Video Equipments market over the past year, and it was very popular in United States,India,Netherlands,Indonesia and Czech Republic; As shown in the distribution chart, market shares of these countries are folowing: [ US:16.10%, IN:5.90%, NL:4.83%, ID:4.83%, CZ:4.83%, other:63.51%]. What's the trends of Wifi Audio Receiver product's market in 2018 (Dec 2016 to Jan 2019)?we have studied one years data on online sales, global shipping, search, sourcing and requirements of following products Bluetooth Speaker. 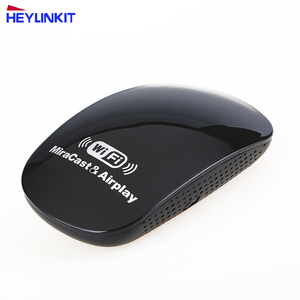 Wireless Audio Video Transmitter Receiver. Router,Here is the report.During the research period (Dec 2016 to Jan 2019), Both global demand and supply indices of Wifi Audio Receiver have increased by 0.92, 3.33; which indicates that the future is very optimistic. 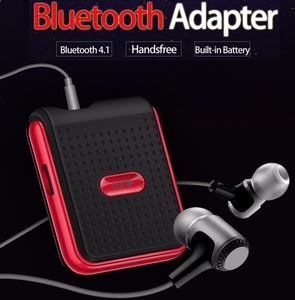 Despite a little decline in Online Sales Index, Retailers still have a big opportunnities and more bargaining and choice because of the strong market supply and demand.Wifi audio receiver is normally one kind of active, passive or ip camera. 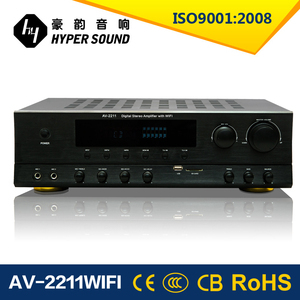 Alibaba.com is the most important platform for Wifi audio receiver product online whole sales, most of the golden suppliers on the platform comes from China, Guangdong, Zhejiang in China(Main Land), they produce qualified Wifi audio receiver and support OEM and customized designs.